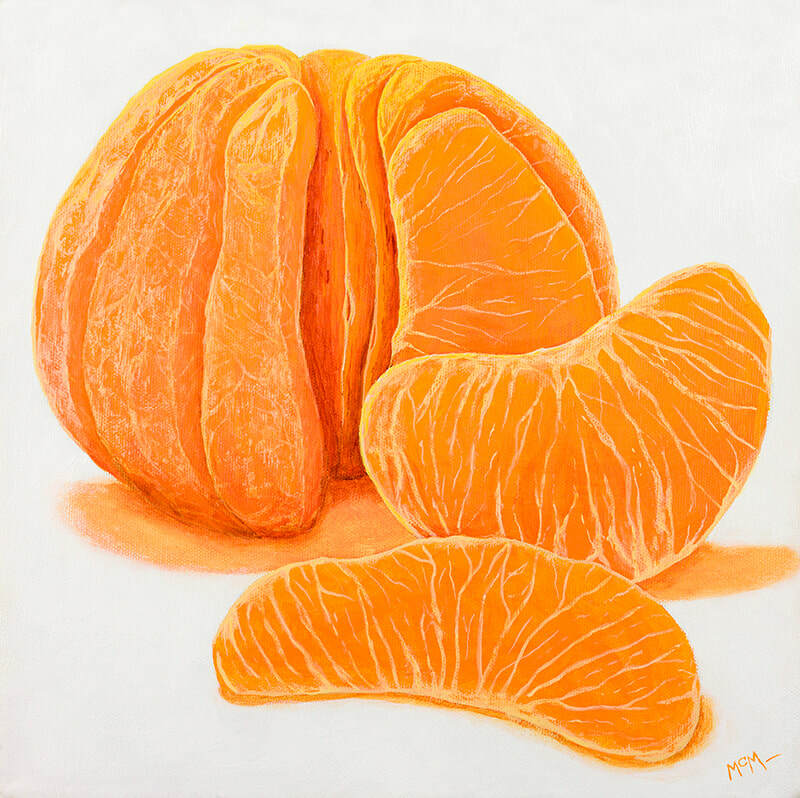 A painting so juicy you can almost smell the flavor of orange. A small painting for a tiny crook or cranny that needs to be given new life. 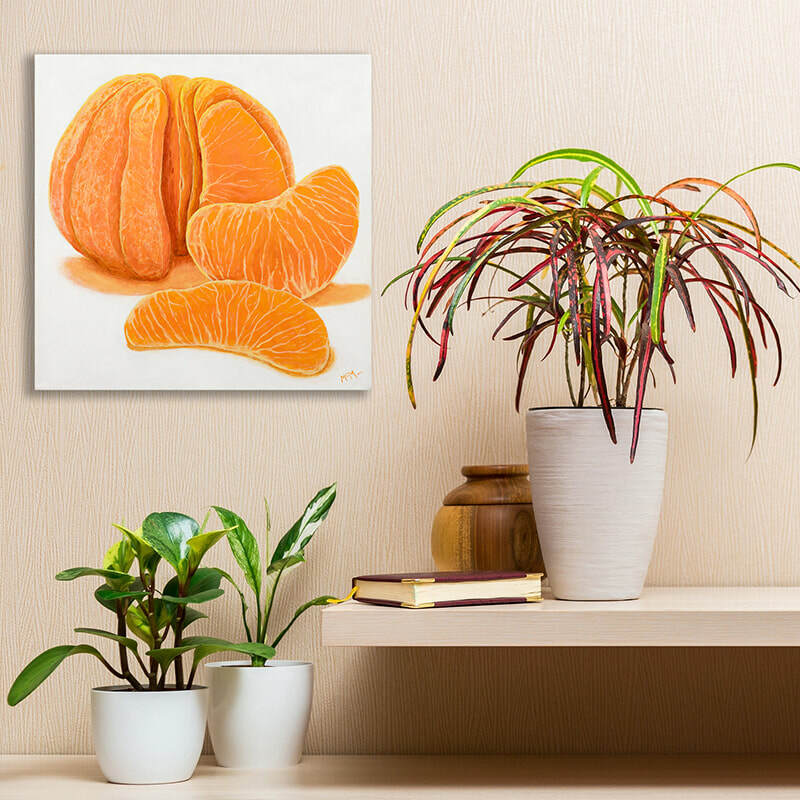 Acrylic painting of a Clementine tangerine 12 X 12 on Gallery Wrapped Canvas.